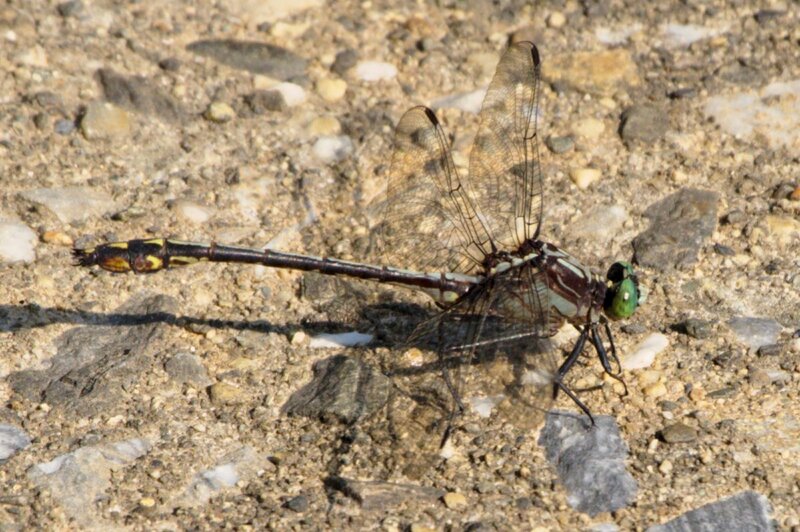 What I think is a female Green Darner sitting on the hot concrete of the dam waiting for a suitable suitor. The Damselflies were having good success finding mates. I could not stick around long enough to see it this Darner found love two days ago. Yeow! Those eyes! And, the way those critters are put together!